I was very happy that I got approved to work on a product review in regards to customizing one of my devices. I choose to get a photo case for my iPhone 4, since it only has one cover since the day I got it. It would look great on it, and at the same time an alternative cover to protect my phone. I searched from my thousand save photos on which should I pick. Moreover, when I have the right picture of the whole family, I’ve gone to the website to apply and upload the picked photo. While working on with the transactions I’ve noticed that the website is a user-friendly. You have options on where would you like to upload your photo, either through the computer, Facebook or Instagram. The picture should have at least 300 dips and supports JPG, png, tiff and GIF. In addition, you definitely can choose the color you like in your photo included in what you are about to pay. Simple, quick, and payment is through Credit card or Paypal. I was very surprised that it doesn’t cost me a lot. I can’t wait to get another for my spouse’s iPhone case too. I received the case cover and I love it. I can’t even wait to get home to try it on my phone. I have noticed is that, the cover is plastic and the outcome of the phone is superb. Even my husband loves the case and asks me if I could get him one, too. I have also noticed that the upper edge and the bottom edge of the cover seem to be sharp. How did I find out? It did scratch me when I wasn’t paying attention to grab my son while I was holding the phone. Other than that, everything is great. Thank you casepics.com for the wonderful opportunity you gave me. Because they want you to enjoy their product, they are giving out 20% off discount to your purchase when you get your case pics from them online. 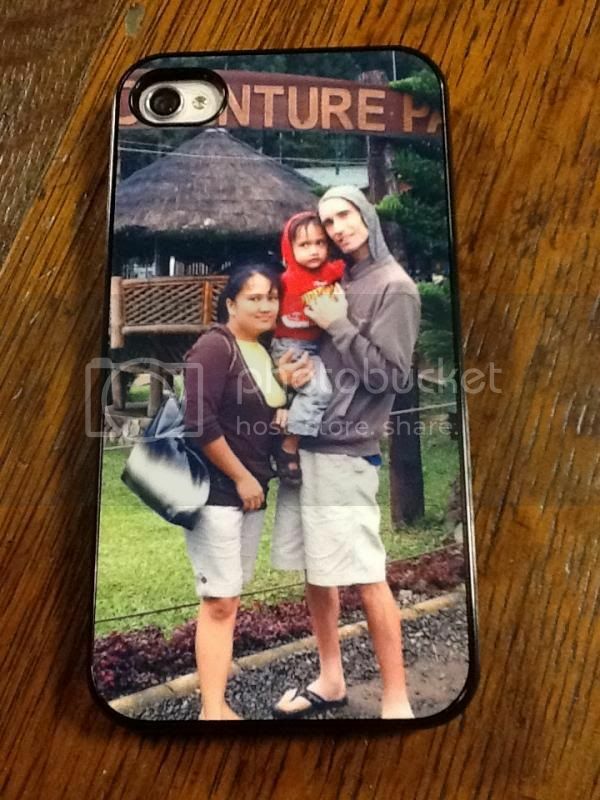 Visit them at http://www.casepics.com and simply apply SSP20 at the checkout and your discount will be applied. Hurry the code expires on November 15, 2013. Shop iPhone Cases 5 / 4S / 4, iPad 2 / 3 / Mini Cases, Samsung Galaxy S3 Cases now! Wow, that's one cool cp case! It's also an excellent gift idea! I love the photo you chose to cover your case. I would love a personalized case for my iphone or my ipad too! You are too observant and creative. Nice personalized photo case. Nice family picture. You made a good choice. those are lovely! i've been planning to get one since but maybe for my laptop first because i neede to get a new fone soon if ever! love this artsy crafty idea!